AMORIS LAETITIA: MY THOUGHTS ON CHAPTER 8. HAS ANYTHING CHANGED? MY THOUGHTS ON CHAPTER 8. Dear brethren in Christ, with the recent publication of the highly anticipated, and much-prayed for Church document, the Post-synodal Apostolic Exhortation, AMORIS LAETITIA (The Joy of Love), on the Love in the Family, numerous posts and articles have been published in the internet, especially from some Catholic sectors, expressing their disappointment over its lack of clarity regarding the controversial topic on the reception of Communion by divorced and remarried couples and from the mass media who erroneously reported that divorced and remarried couples can now receive Holy Communion, as simple as that (!). the Church’s position on the Communion of the divorced and remarried brethren? From the DOCTRINAL viewpoint on marriage and family AND THE SACRAMENTAL DISCIPLINE regarding the reception to Communion of the divorced and remarried couples, NOTHING HAS CHANGED. 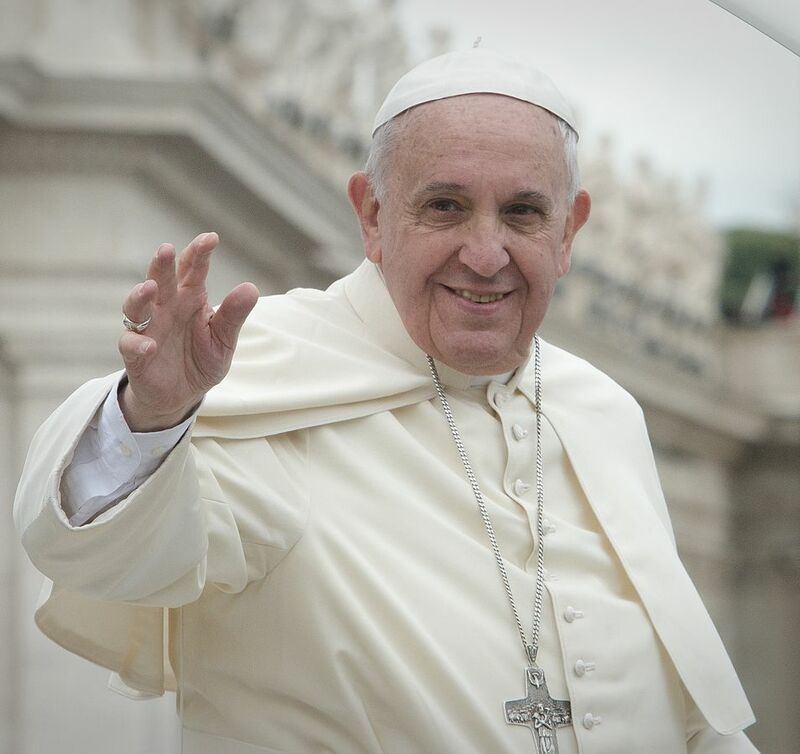 Pope Francis reaffirmed the Church Magisterium’s teaching on marriage and family on different occasions. Furthermore, THE ROMAN PONTIFF DID NOT LEGISLATE NEW LAWS AND NORMS, ESPECIALLY REGARDING THE RECEPTION OF COMMUNION OF OUR DIVORCED AND REMARRIED BRETHREN, NOR DID HE ABROGATE PREVIOUS NORMS ON THE SUBJECT MATTER TAUGHT BY THE CHURCH, but rather, as we shall see later, encouraged a very delicate and careful guidance and discernment of the objective situation of couples who find themselves in an irregular situation. From the PASTORAL viewpoint, I would dare say that NOTHING HAS CHANGED in so far as the Church’s maternal concern for her children who are in irregular situations. However, Amoris Laetitia makes a huge positive step in so far as encouraging her pastors and the faithful to be more sensitive, accommodating and compassionate with regard to the accompaniment, discernment and integration of those in the said situation. THE CHURCH TAKES ITS MORAL LAWS AND NORMS SERIOUSLY, BUT IS AWARE THAT NOT ALL MORAL RULES AND NORMS COULD COVER EACH AND EVERY ACTION AND CIRCUMSTANCE OF THE LIVES OF HER FAITHFUL: THAT WOULD BE IMPOSSIBLE. Besides, it would reduce Christian life into a mere fulfillment of norms and obligations and moral life, a burdensome fulfillment of an infinity of laws, instead of a radical following and identification with the Person of Our Lord Jesus Christ. For centuries, IT HAS ALWAYS BEEN THE PRAXIS OF THE CHURCH THROUGH THE PRUDENT AND DISCERNING EFFORT OF HER FAITHFUL PASTORS WHO, BY UPHOLDING THE CHURCH’S DOCTRINE, TAKE AS WELL INTO ACCOUNT ALL THE CIRCUMSTANCES, including THE MITIGATING FACTORS IN EACH CASE in which the FAITHFUL encounter themselves, most especially in the borderline and complicated situations, so as to help them conform to God’s doctrine and fulfill His Will. This shows that the Church, while giving the appropriate importance to Christ’s doctrine and norms, take her faithful, persons of flesh, bone, and blood, seriously as well, as a mother would do to her children, knowing the debility of human nature. Rather that dealing with change, I would speak of a MORE SENSITIVE AND COMPASSIONATE PASTORAL APPROACH TOWARDS THOSE LIVING IN IRREGULAR SITUATIONS WITHIN A SPECIFIC CONTEXT AND PERSPECTIVE, WITHOUT JEOPARDIZING THE LONG-STANDING TEACHING OF THE CHURCH REGARDING MARRIAGE AND FAMILY. In my opinion, it is where a real development can be seen in Amoris Laetitia in so far as the pastoral approach to couples in irregular situations is concerned: Amoris Laetitia exhorts the entire Chruch community, especifically the pastors, to a MORE UNDERSTANDING, SENSITIVE AND ACCOMPANYING APPROACH and the RENEWED ATTITUDE AND ENCOURAGEMENT TO DISCERN THE SITUATION OF THE MORE DIFFICULT CASES AND SITUATIONS IN WHICH SOME INDIVIDUALS FIND THEMSELVES IN ORDER TO GRADUALLY BRING THEM CLOSER TO CHRIST’S CHURCH AND ARRIVE AT LIVING THE FULLNESS OF THE IDEAL OF THE CHURCH’S DOCTRINE ON MARRIAGE WITHIN THE CONTEXT, PERSPECTIVE AND FRAMEWORK OF THE MERCIFUL LOVE OF CHRIST: COMPASSION and CONVERSION, AGAIN IN ACCORDANCE WITH THE TEACHINGS OF THE CHURCH. (3) AND SETTING PROMOTED BY POPE FRANCIS IN THE DOCUMENT. THIS IS A POSITIVE DEVELOPMENT IN TERMS OF MORE SENSITIVITY ON THE PART OF THE ENTIRE CHURCH COMMUNITY IN CONSIDERING THE PERSONAL CIRCUMSTANCES OF THE INDIVIDUALS WHO FIND THEMSELVES IN AN IRREGULAR SITUATION. HOWEVER, PASTORS AND LAYMEN MUST ADHERE ALWAYS TO THE DOCTRINE WHILE CARRYING OUT THIS PASTORAL APPROACH. IF NOT, THEN, TERRIBLE ERRORS WOULD ARISE. Pope Francis and the Bishops are aware that all are called to perfection and a fuller response to God. But they are aware of the human frailty and the situation of her children as well , especially the weaker ones. In this regard, the Church, as a Mother, cannot ostracize them and expresses her loving concern to accompany and take care of those who are in most need without sacrificing her teaching. With the above idea in mind, the document warns us against the tendency to put an etiquette, to categorize and sideline and hence causing an ecclesial and social stigmas to our brethren who are living in irregular situations. Amoris Laetitia, however, affirms that: “The divorced who have entered a new union, for example, can find themselves in a variety of situations, which should not be pigeonholed or fit into overly rigid classifications leaving no room for a suitable personal and pastoral discernment” (AL 298). There are particular situations which after a very careful analysis of all the circumstances involved and the necessary effort in each case of the couples living in irregular situations to conform to the Church’s doctrine on marriage, with the previous contrition required for absolution and putting all the prudent measures to live as “frater et soror” and avoiding scandal, could very well receive Communion. NOTE THAT THIS IS NOT A NOVELTY, BUT HAS ALWAYS BEEN THE PRAXIS OF THE CHURCH (cfr. Familiaris consortio n. 84). From the viewpoint of Moral Theology, Amoris Laetitia reminds us anew, to overcome an erroneous LEGALISTIC approach, what the Encyclical Veritatis splendor calls THIRD-PERSON ethical perspective to bring us to a FIRST-PERSON perspective. General rules exist, but MORAL DISCERNMENT IS NOT A MERE APPLICATION OF GENERAL RULES TO PARTICULAR CASES: THIS WOULD BE A LEGALISTIC AND CASUISTIC APPROACH which would lead to an unjust consideration of a particular situation. The moral evaluation of a case should take place from a FIRST-PERSON perspective, in which the pastors (couples and everyone) should place themselves in the real situation of the couples in question, and consider all the necessary factors, to arrive at an authentic grasp of the moral object in question, the intentions and the circumstances and prudently arrive at an objective comprehension of the case in question. For this to occur, SENSITIVITY, SINCERITY, HUMILITY AND PRUDENCE are required be it from the couples in question who reflect on their own situation and the pastor who discerns their particular case. Accompaniment, discernment and reintegration would be only be possible WITHIN THE FRAMEWORK OF TRUTH, JUSTICE, LOVE AND MERCY ALL COMBINED, BUT AT THE SAME TIME, WITHOUT COMPRIMISING THE CHURCH’S TEACHING ON THE MATTER. The important concept here is the GRADUAL REINTEGRATION of the wounded families, families with remarried spouses, into the life of the Church and this is A LONG JOURNEY which involves the CONVERSION of the persons concerned. Does this signify that they will be allowed to receive communion? NO. Receiving Communion would be the last thing, provided that there is prior conversion and respecting the Church’s sacramental discipline on the subject matter as taught in Familiaris consortio, n. 84. “If we consider the immense variety of concrete situations such as those I have mentioned, it is understandable that neither the Synod nor this Exhortation could be expected to provide a new set of general rules, canonical in nature and applicable to all cases. What is possible is simply a renewed encouragement to undertake a responsible personal and pastoral discernment of particular cases, one which would recognize that, since “the degree of responsibility is not equal in all cases”, the consequences or effects of a rule need not necessarily always be the same. Priests have the duty to “accompany [the divorced and remarried] in helping them to understand their situation according to the teaching of the Church and the guidelines of the bishop. Useful in this process is an examination of conscience through moments of reflection and repentance. The divorced and remarried should ask themselves: how did they act towards their children when the conjugal union entered into crisis; whether or not they made attempts at re- conciliation; what has become of the abandoned party; what consequences the new relationship has on the rest of the family and the community of the faithful; and what example is being set for young people who are preparing for marriage. A sincere reflection can strengthen trust in the mercy of God which is not denied anyone”. What we are speaking of is a process of accompaniment and discernment which “guides the faithful to an awareness of their situation before God. Conversation with the priest, in the internal forum, contributes to the formation of a correct judgment on what hinders the possibility of a fuller participation in the life of the Church and on what steps can foster it and make it grow. Given that gradualness is not in the law itself (cf. Familiaris Consortio, 34), this discernment can never prescind from the Gospel demands of truth and charity, as proposed by the Church. For this discernment to happen, the following conditions must necessarily be present: humility, discretion and love for the Church and her teaching, in a sincere search for God’s will and a desire to make a more perfect response to it”. These attitudes are essential for avoiding the grave danger of misunderstandings, such as the notion that any priest can quickly grant “exceptions”, or that some people can obtain sacramental privileges in exchange for favours. When a responsible and tactful person, who does not presume to put his or her own desires ahead of the common good of the Church, meets with a pastor capable of acknowledging the seriousness of the matter before him, there can be no risk that a specific discernment may lead people to think that the Church maintains a double standard.” AL 300. Hence, the mass media reports claiming otherwise, and the claim that those who are in an irregular situation may simply and immediately receive Communion without prior conversion, repentance and sincere desire to live according to the Gospel and the Church’s teachings, are baseless, erroneous and are not in keeping with what the Pope teaches in Amoris Laetitia. Some have criticized the “absence” in the paragraph text of the necessary “frater et soror” requirement in order to receive absolution in particular cases and would only appear as a footnote (n. 329 in particular) commentary which was criticized as out of context (GS 51 on periodic continence). However, reading between the lines, I think that the Pope had in mind the difficulty of living periodic continence, knowing the frailty of human nature, even among couples in regular situations, what more would it be to live complete abstinence as in the case of those divorced and remarried brethren. From a pastoral viewpoint, a sincere contrition on the committed falls and a determined disposition to begin again would be sufficient to receive absolution with the consequent reception of Holy Communion. No one in this world is a saint and everyone is a sinner. But what counts in God’s eyes, and that of His pastors who act in persona Christi during the sacramental absolution, are the sincere contrition and disposition to begin all over again to pursue the struggle with more humility, love and fervor. Others, on the other hand, have pointed out “loopholes” in the document, with or without basis, questioning the orthodoxy of the document, in so far as the pointed-out “loopholes” do not match their wishes or criteria. Nevertheless, we should never lose sight of the most important fact which, though obvious, could easily be overlooked due to the influence of passion. WHAT THEN IS THIS IMPORTANT FACT? THE DOCUMENT DEALS A LOT MORE THAN THE COMPLEX AND SENSITIVE TOPIC ON WHETHER THERE WAS A CHANGE IN THE CHURCH’S DOCTRINAL AND PASTORAL APPROACH TOWARDS COUPLES IN THE IRREGULAR SITUATION (perhaps, aggravated by the mass media sensationalist stance, following or not an ideological agenda, to disrupt, consciously or not, the Church’s unity in the public arena). 4. HENCE, WE MUST DELIBERATELY AVOID A MYOPIC READING OF AMORIS LAETITIA IN ORDER TO CENTER ON WHAT IS REALLY ESSENTIAL. It is about, above all, THE BEAUTY, GRANDEUR AND JOY OF LOVE IN THE FAMILY. IT IS ABOUT THE LOVE IN ALL THE FAMILIES, PARTICULARLY CHRISTIAN, WHICH PERHAPS, ARE MUCH MORE NUMEROUS THAN THOSE WHICH COULD BE CONSIDERED AS IRREGULAR. On the other hand, we ask all Bishops, priests and laymen to interpret Chapter 8 of the document within the framework of the long-standing doctrine of the Church regarding the requirement of conversion of those in the irregular situations (as reiterated by the document itself) prior to the reception of Holy Communion, so as to avoid misinterpretation and confusion within the Church, and the propagation of errors among her faithful. Those who have misinterpreted it otherwise must repair and correct the damage which they have caused. Dear readers, brethren in Christ, let us thank the Holy Father, all the Bishops and all those involved in the publication of this document with our continuous prayer and fidelity to the teachings of the Church’s Magisterium, convinced that it is the Holy Spirit, the Spirit of Christ, who acts in the Church and her pastors and who is the source of all her efficacy. Let us also entrust to the Holy Family of Nazareth, Jesus, Mary and Joseph, all the spiritual fruits of this document, but above all, all the families in the world. Cordially inviting you to like www.facebook.com/CatholicsstrivingforHoliness or sign-up to our website,www.catholicsstrivingforholiness.com, so we can have a wider apostolic reach and thus help more people in their Christian life. Thanks! Fr. Rolly A., priest of Opus Dei. Apostolic Exhortation Familiaris Consortio (22 November 1981), 34: AAS 74 (1982), 123. Ibid., 9: AAS 74 (1982), 90. Apostolic Exhortation Evangelii Gaudium (24 November 2013), 44: AAS 105 (2013), 1038. This is also the case with regard to sacramental discipline, since discernment can recognize that in a particular situation no grave fault exists. In such cases, what is found in another document applies: cf. Evangelii Gaudium (24 November 2013), 44 and 47: AAS 105 (2013), 1038-1040. Bull Misericordiae Vultus (11 April 2015), 15: AAS 107 (2015), 409. POPE FRANCIS: FAMILIES NEED TO CONSTANTLY GROW AND MATURE IN THE ABILITY TO LOVE. I agree with your explanation. What I cannot understand is how 62 church scholars/pastors failed to read Pope Francis’ words in that light. I saw the names of those who are calling him put regarding the so-called heresies in this Amoris document. Sad that even EWTN came out last February with labels like “schism” in the Church because of Amoris. Thank you for this enlightening explanation.